Recipes by Ingredients is an app that saves you a trip to the grocery store. The app lets you find recipes by entering the ingredients you already have stored in your pantry and fridge. In addition to searching by ingredients, you can also sort through recipes by allergies, serving size, the amount of time it takes to cook and the type of meal. Recipes by Ingredients currently hosts more than 175,000 recipes, with photos. You can even make your own tweaks to recipes and save them to use later. 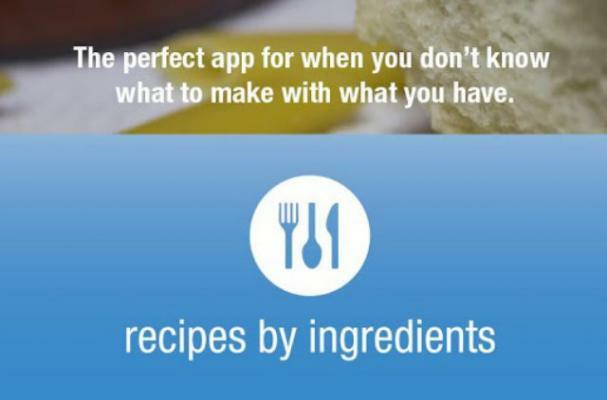 Recipes by Ingredients is currently available for Android, Windows Phone and iPhone.